James Milner has named Alisson his Player of the Season so far for Liverpool, praising the goalkeeper’s all-round impact on and off the field since joining. 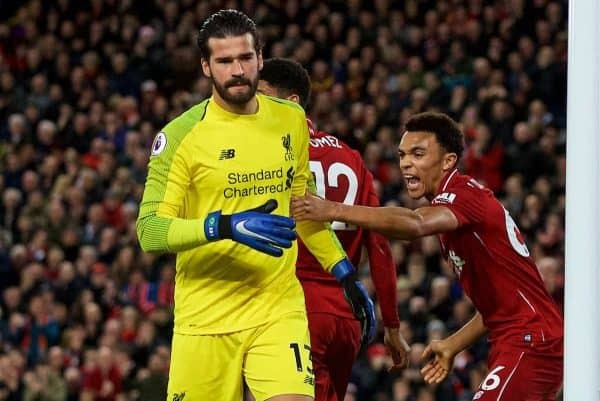 Alisson made the then-world-record move to Merseyside from Roma in the summer, immediately taking over as No. 1 stopper, with Loris Karius loaned out and Simon Mignolet remaining deputy. It was a bold call from Jurgen Klopp in the aftermath of defeat in the Champions League final, but it is proving the right one, with the £65 million outlay money well spent. 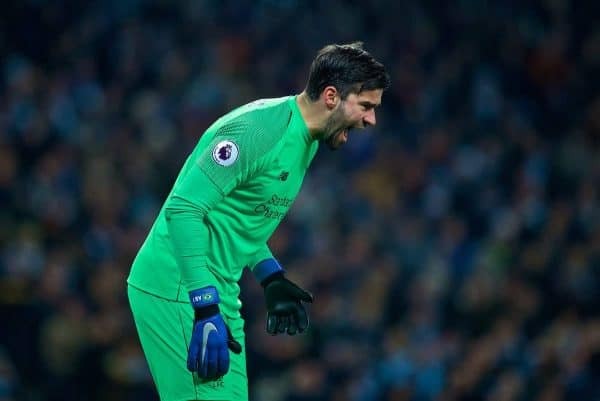 He has helped keep 13 clean sheets in 22 games in the Premier League, and conceded just 17 goals in 28 games in all competitions, providing a solid backbone alongside the likes of Virgil van Dijk and Joe Gomez. While his saves are crucial, his progressive outlook and influence off the pitch are clearly just as important, as Milner told the Liverpool FC Magazine this month. “I think maybe one you could select is Alisson,” he said, when asked his Player of the Season so far. “Coming to a new league is never easy. It’s a new lifestyle and you are also getting used to the weather and things like that. “But he’s been unbelievable: from how he is around the place, to how good he is on the pitch with his feet and with the saves he makes. “Every single player makes mistakes and sometimes as a ‘keeper you maybe feel a bit different because mistakes often result in a goal. “But if he makes a mistake it doesn’t faze him in the slightest and he remains confident and continues playing as if nothing has happened. That’s so important. 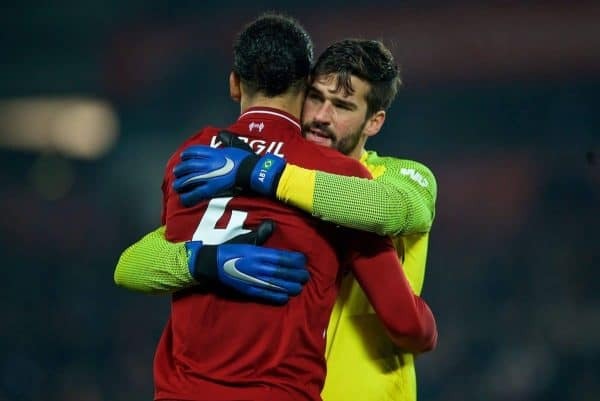 Alisson‘s on-field contribution is obvious, and the Brazilian is a significant upgrade on Karius, whose big potential as a goalkeeper is seemingly outweighed by issues with consistency. But more interesting is Milner attesting to “how he is around the place,” with the addition of the 26-year-old giving a previously shrinking Liverpool squad another leader. “When the music is loud and people are shouting it is Milly and Hendo. Now Virg starts too, even Ali throws in a few words,” he said. Unlike Milner and Jordan Henderson, Alisson starts every important game—only sitting out of the defeats in the FA Cup and League Cup so far this season—which further compounds the vice-captain’s praise. With Gini Wijnaldum voted ‘fourth captain’ earlier this season, and the likes of Trent Alexander-Arnold, Roberto Firmino and Mohamed Salah also praised for their leadership, Liverpool’s increasing mental strength is distinct. Win Liverpool FC home and third shirts signed by the squad!